What do Rosencrantz and Guildenstern Are Dead, The Lion King 1 1/2, and Tucker and Dale Vs. Evil all have in common? They’re the same movie. No, really. Humor me for a minute. The source material for the other two is R&GAD (and for the sake of this article, I’m talking about the film version with Gary Oldman and Tim Roth; not the play), which is basically a spin-off of Shakespeare’s Hamlet. It takes two fairly minor characters and follows their story from just before the opening of the Hamlet story to the moment when, in the original play, they die (plus the Hamlet epilogue because…yay, more dead bodies). And if you’re unfamiliar, I feel I should mention at this juncture that R&GAD is a straight-up comedy. A really good one. A laugh riot. It’s one of my favorite movies. And a quick side note, so we’re clear from the beginning, the two leads are not interchangeable. There’s a running gag that no one can tell them apart, partly because of their long and confusing names, but they’re very distinct from each other. 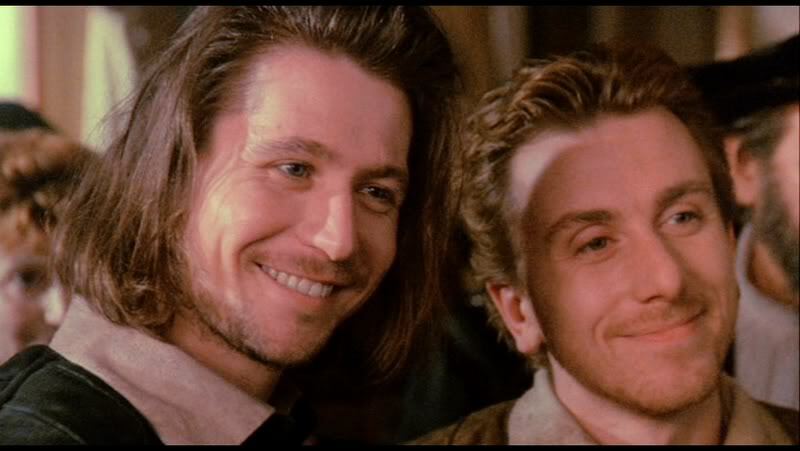 The Guildenstern is more self assured and at first glance appears to be the much savvier of the two, but the Rosencrantz is actually a misunderstood (even by himself) genius, who, while Guildenstern can be snide and condescending, is only ever well-meaning and good natured. Both are dumb as bricks when it comes to anything obvious. So a few years ago, I’m on an Alan Tudyk kick, because I had just finished Firefly and seen Death at a Funeral and thought to myself, alright, what else ya got? And to be completely honest, I don’t know why I decided to watch Tucker and Dale Vs. Evil in the first place. From the point of view of an outsider, it doesn’t look like what it is: lowest common denominator comedy, as an excuse to show girls in bikinis. But I wanted to watch a movie, I’d put it in my Netflix queue, what the hell. I’ll give it a shot. T&DVE is smart disguised as stupid, and it’s one of the best horror comedies ever made (I have to say one of because of Cabin in the Woods and Shaun of the Dead). It’s also basically R&GAD. Think about it. It takes the classic slasher-horror movie concept and shifts the camera to the side and shows what’s happening there. The view you don’t usually see. The “villains” and their side of the story. In Hamlet, Rosencrantz and Guildenstern, while not the main antagonists, do turn out to be somewhat villanous. They are childhood friends of the protagonist, brought in by the king after Hamlet starts acting a little wonky. They go on a trip with him and we discover they were carrying a letter telling a different king “we’ve got Hamlet with us and this other king wants you to do him a solid and kill him. Please.”Slight paraphrase. In R&GAD, they sidestep this by the King slipping the letter into Rosencrantz’s jacket and they don’t even find it until they’re already on the ship. So they aren’t really the bad guys and neither are Tucker and Dale. Moving onto The Lion King 1 1/2…. The notion that the original film was basically Hamlet has been talked about endlessly. A young prince’s father is killed by his uncle, massive confrontation, resulting in deaths ensue (okay, so the only character that we know for sure was killed is Scar, but c’mon. All that fire and brimstone? We must have lost a few lionesses and hyenas in the fight sequence). So several years later The Lion King 1 1/2 shows up (they saved Romeo and Juliet for the sequel) and they make the movie about the comic reliefs. And when you turn the camera to the side, you get the R&GAD treatment. So we get a bit of each of their backstories, with references to the pride and a new king and blah blah blah. Then they meet Simba and become childhood friends. They act somewhat like parents, as they’re supposed to be older than Simba, but they’re all operating on the same maturity level. Now again, Disney movie, so there’s a lot less betrayal and a lot less…killing everyone. There’s that moment, for each of them where, had this not been an animated musical for kids, they would have died. Instead…well, instead they don’t. However, the still get to see the little epilogue with the prince having a final battle with his uncle, the king. Still, the crux of the story is about two side characters, their characterizations and interactions and overall relationship, which is the identical twin of that of Rosencrantz and Guildenstern. 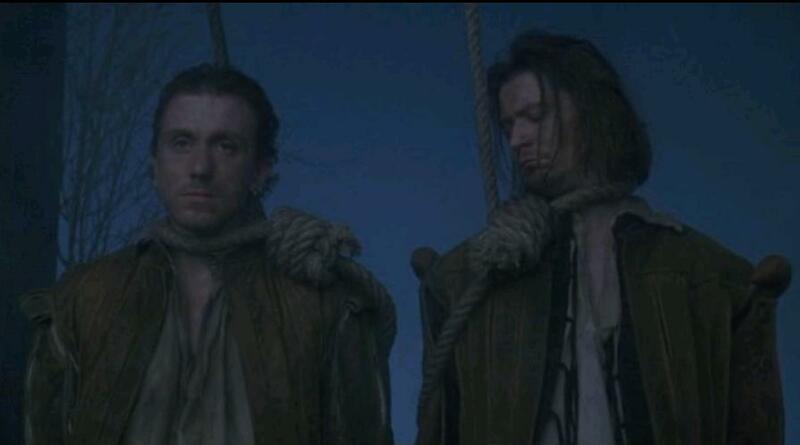 So the next time watch a Shakespeare production, think about the characters that get killed off at the midpoint. And how hilarious their side of the story may be. This entry was posted in film and tagged alan tudyk, dale, dead, evil, gary oldman, guildenstern, hamlet, lion king 1 1/2, pumbaa, rosencrantz, Tim Roth, timon, tom stoppard, tucker. Bookmark the permalink.